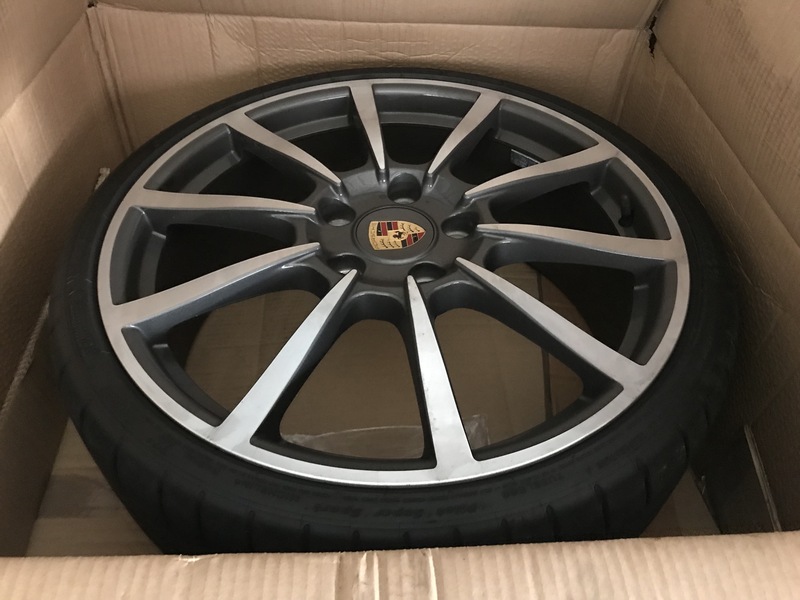 I have a set of 4 genuine 20” Carrera Classic alloys from a 981 with Michelin Pilot Supersports on which have done about 2000 miles. The tyres are slightly lower profile as they were used on a 987 Boxster. Wheels and tyres are in excellent condition, £1500 based near Reading. Tyres are Michelin pilot Super Sport and the tyres have covered only about 2000 miles and have loads of life left.